Ever wondered what the source of the voices at the beginning of The Scream’s 1990 was? Wonder no longer. Samples are great. But sometimes you think: just where did they originally come from? Primal Scream’s career changed when they asked DJ and producer Andy Weatherall to remix their song I’m Losing More Than I’lL Ever Have at the beginning of 1990. Weatherall transformed the song from a country ballad into a dancefloor anthem, courtesy of a chilled out shuffle and a memorable quote at the beginning. 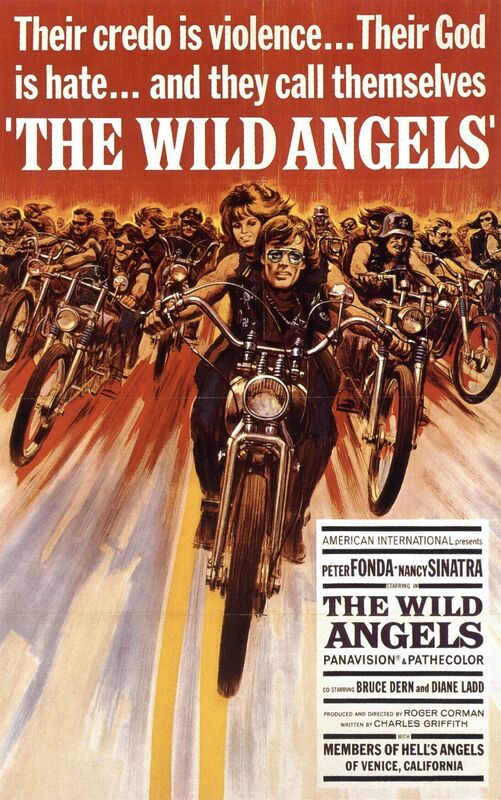 The sample is taken from a 1966 biker movie, The Wild Angels and the voice you hear is actor Peter Fonda playing the part of “Heavenly Blues”, the leader of a chapter of Hells Angels. The plot concerns the gang’s troubles with the police, which result in the Loser (played by Bruce Dern) being shot by cops, then “sprung” from hospital, after which he dies. “Well we wanna be free, we wannna be free to do what we wanna do. We wanna be free to ride. We wanna be free to ride our machines without being hassled by the man. The raucous party that the Angels have ends up in chaos and Blues is ultimately caught by the cops. The film was directed by Roger Corman, the undisputed king of the B-movies in the 60s, and also starred Frank Sinatra’s daughter Nancy. Corman recalled in his autobiography how he hired genuine Hell’s Angels to feature in the movie as extras and was held “personally responsible” for Nancy Sinatra’s safety by her father following a very awkward conversation. The same bit of speech was also included in a track by Seattle grunge legends Mudhoney called In And Out Of Grace, which predates Loaded by two years. It was included on the 19988 EP Superfuzz Bigmuff.